People have always experienced forces such as light, gravity and the properties of matter, but often struggled to explain these phenomena in any concrete form. For centuries, any phenomena that did not arise from direct and observable initiation was considered the domain of the occult. Forces and electromagnetic radiation, such as gravity, light, sound, electricity, and X-rays, were beyond testable means. 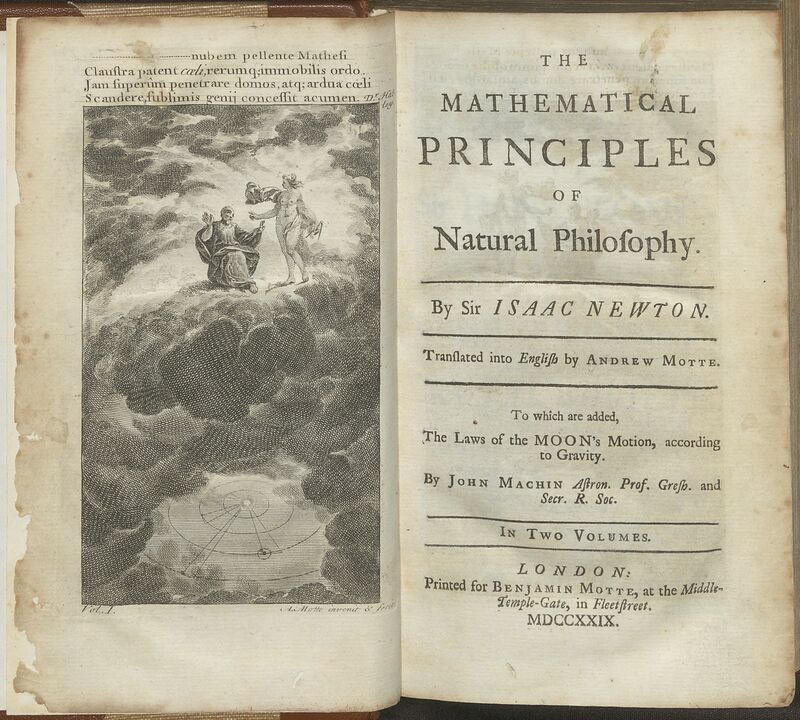 When Newton published his Philosophiæ Naturalis Principia Mathematica (Mathematical Principles of Natural Philosophy) in 1713, he outlined the mathematics and basic laws that govern the interactions of motion, accounting for the absence of a direct and observable force. Although forming the basis for an understanding of the mechanics behind waveforms, and therefore light, sound, and X-rays, Newton’s mathematics could not describe every phenomena. It was not until in the first decade of the 20th century when Einstein (1879-1955) hypothesised a theory to reconcile classical mechanics with the electromagnetic field that further progress was made. Much like Newton, Einstein’s theory of General Relativity and understanding of the Universe would also have to wait for decades before they could be tested empirically. 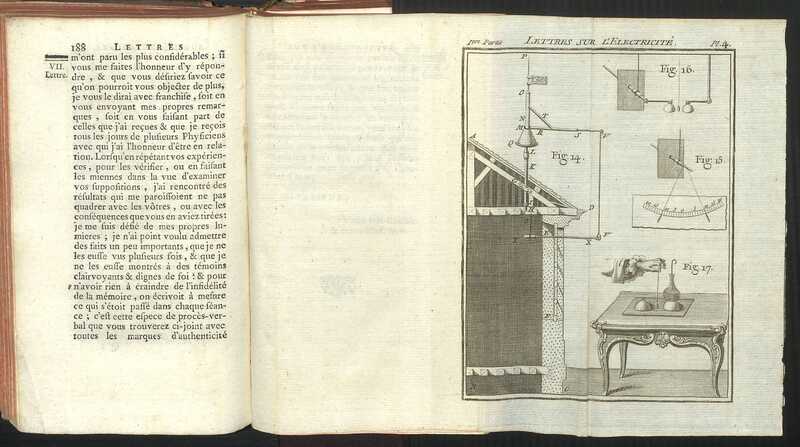 There is a long tradition of studying electricity. The ancient Greeks used the electrical properties of fish in medical treatments, and in 600 BCE Thales was known to have conducted electrical experiments. However, it was not until the eighteenth century that practical experiments and the harnessing of electricity saw any functional advance in human understanding of the phenomenon. Benjamin Franklin began extensive experiments in 1752 and his findings were published in 1767. This French work appeared three years prior and might possibly have inspired Franklin. Schott was a Jesuit priest who spent much of his early career in Italy as a teacher. The Magia Universalis is one of several works he authored and the most famous. It is a compendium of science and technology, mostly in the areas of optics and acoustics. He did not do much original research, just recorded contemporary understanding of mathematics, physics and magic. Wilhelm Conrad Röntgen discovered X-rays in 1895. His discovery was immediately followed by Henri Becquerel’s discovery of gamma rays in 1896. The application of these new discoveries, where rays could penetrate solid substances and allow images to be captured by radiograph, were enormous and were adopted quickly by medicine. 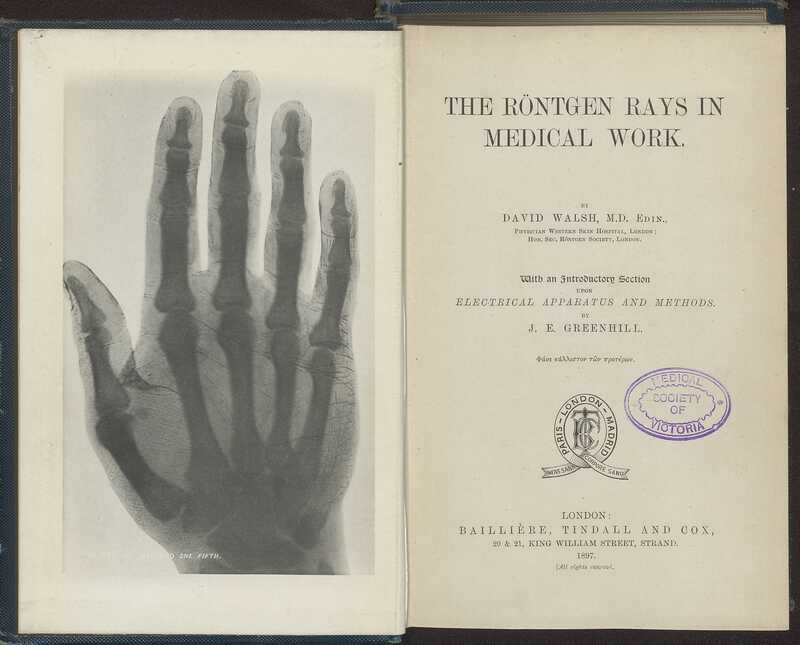 One of Röntgen’s earliest experiments was capturing the X-ray image of his wife’s hand. From the Australian Medical Association Collection. Born into a farming family in 1642, Newton was sent to Cambridge to become a preacher. Like many 18th century scholars, in addition to theology he also studied the natural sciences and mathematics. External to his studies, Newton debated contentious questions, such as the correct path of a particle, with his friends, working out the mathematics to prove his point. However, Newton refused to publish these workings, going so far as to tell Edmund Halley (of Halley's comet) that he had lost them. 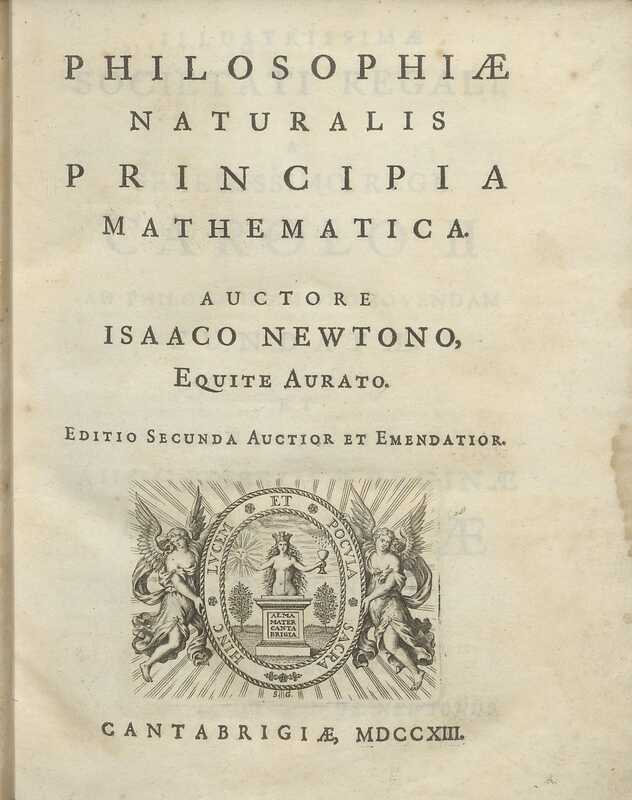 After much persuasion, Newton finally wrote up these studies during 1684-6, which resulted in the Philosophiae Naturalis Principia Mathematica (Mathematical Principles of Natural Philosophy) in 1687. The Principia supplanted the Aristotelian system and the mechanical system of René Descartes, providing a novel and unique cosmology. Newton overthrew existing understandings of conception theory (the origin of the cosmos), arguing that natural phenomena, such as ‘aether’ and ‘corpuscles’, did not form any part of a cosmological system. Rather, it was empty of ‘matter’ and what underlay the universe instead was a notion of universal gravitation and attraction, based on a taxonomy of interactive forces among particles of matter. Important as the Principia is, many of the early sections to do with the laws of motion supply more questions than answers. Because of these misunderstandings, Newton intentionally complicated or obscured his findings and arguments in the first edition of Principia in order to avoid the criticism of laymen. In this English edition, translated from the Latin by Andrew Motte, Newton’s findings are offered to a wider audience. Current research demonstrates that Newton's hypotheses regarding centripetal forces, the second law of motion, orbital motion and the transitions around continuous forces were correct. Edited by Roger Cotes (1682-1716), this book was originally to be published by the Royal Society, but losses from their The History of Fishes prevented this. Instead, Edmond Halley financed the first edition. The book is important because it formulated simple mathematical rules and laws for natural phenomena. In it, we find Newton's laws of motion and law of universal gravitation. This is the second Latin edition. 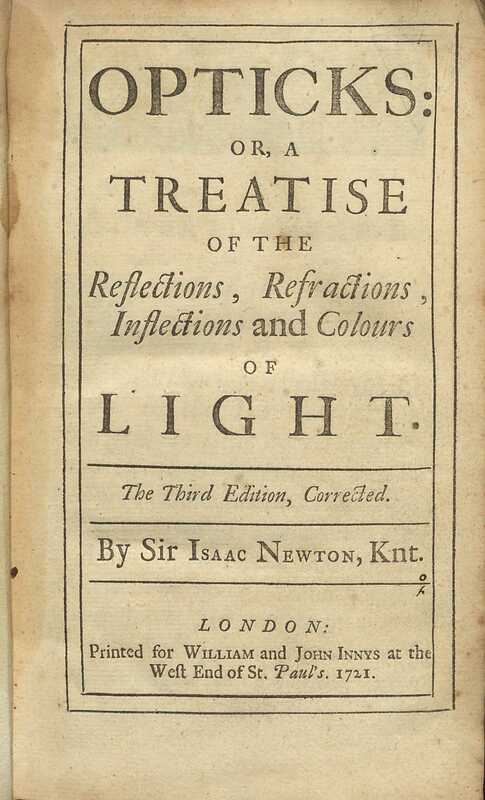 Opticks was first published in 1704, although Newton was not named as the author in the first edition. It is one of the great works of science and appeared in English first and then Latin, which was unusual at the time. 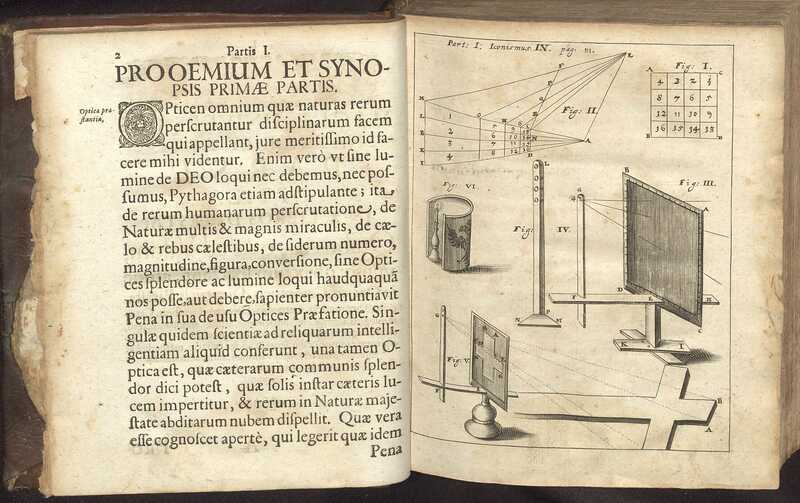 The book presents Newton’s experimental findings on light using prisms and lenses and was an exemplar for scientific method. Its major contribution was that it showed definitively that pure light was not colourless, but made up of a spectrum of colours. Unlike his Principia, the book also offers hypotheses that are not supported by experiments. Pierre Curie, Marie Curie, and Henri Becquerel were jointly awarded the Nobel Prize in Physics in 1903 for their research in radioactivity. Marie Curie would later be awarded a second Nobel Prize for Chemistry. 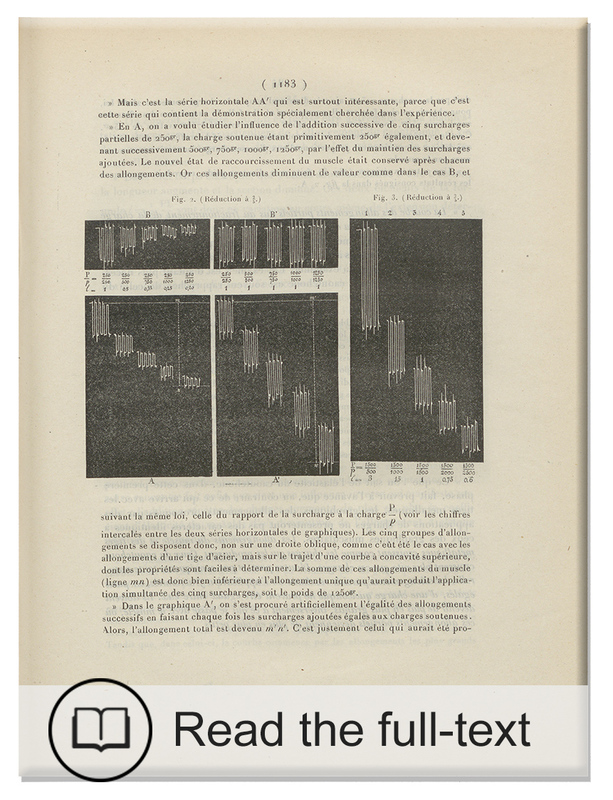 Also bound in this volume are ‘Sur une Nouvelle Substance Fortement Radio-Active, Contenue dans la Pitchblende’ by Pierre Curie, Marie Curie, and Gustav Bémont, and ‘Sur le Spectre d'une Substance Radio-Active’ by Eugène-Anatole Demarçay. This item has been digitised and is available in Monash Collections Online. Einstein’s theory of relativity was received with great enthusiasm. 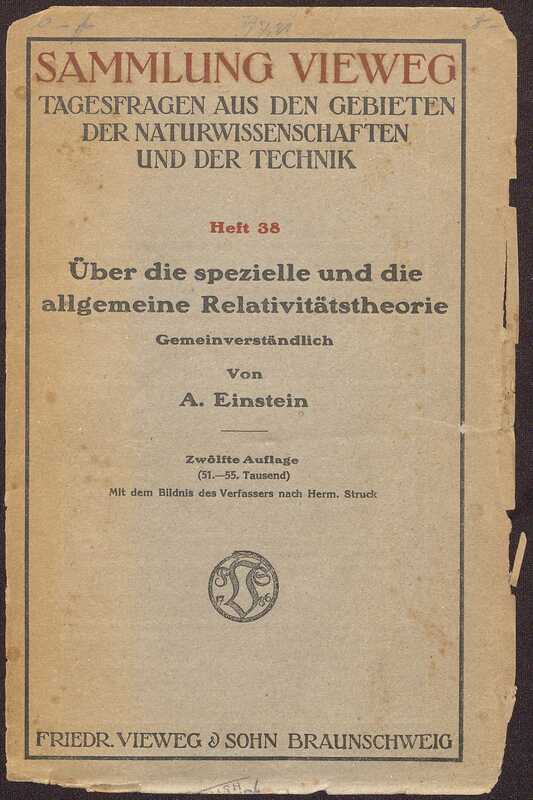 It incorporates the two theories: Special Relativity (1905) and General Relativity (1916). By the 1920s, Special Relativity was widely understood and used in practical ways in atomic and nuclear physics, as well as Quantum Mechanics. General Relativity was mainly theoretical and remained less accepted until means of observing the universe’s more complex phenomena, such as black holes, was developed.